Welcome to the Allouez Village Band website. 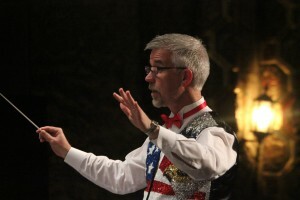 The Allouez Village Band was established in 1981 by Robert Seering and continues with its tradition of presenting free public concerts to audiences in Northeast Wisconsin. The 75-member band performs monthly concerts from September through May at the Meyer Theatre in Downtown Green Bay, Wisconsin. The band is dedicated to its mission of supporting the values of neighborhood pride, community spirit and patriotism through our public performances. Under the direction of Mike Ajango and Associate Director Paul Oleksy, the band is one of the most popular musical organizations in the Green Bay area.